Kids are a dangerous species. They drool, run all over the place, and question everything around them. They also like to spend a lot of their parents’ money on in-game purchases, but is that necessarily their fault? According to a New York mom, the blame rests on Google’s shoulders. Ilana Imber-Gluck’s son was playing Marvel Run Jump Smash! on a Samsung Galaxy tablet when he spent $65.95 on in-game currency. According to the lawsuit, which was filed in San Francisco on Friday and represents other parents across the U.S., accuses Google of unjust enrichment and violating consumer protection laws. The lawsuit cites the Google Play Store as a place where games and apps lure children into spending money. If this sounds familiar, that’s because Apple went through a similar situation with the iPhone and iPad App Store. The settlement, reached with the U.S. Federal Trade Commission, paid out $32.5 million to parents whose children made in-app purchases from March 2011. The settlement, as well as other reimbursements, led Apple to close its 15-minute window where in-app purchases could be made without entering a password. With Google, that window stretches twice as long to 30 minutes. With games like Pet Hotel, which was cited in the lawsuit, bulk purchases could be made. 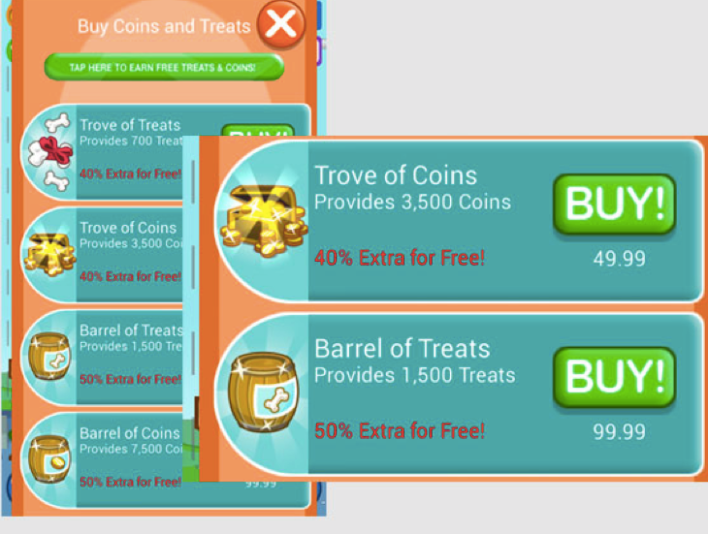 With Pet Hotel, users can buy 1,500 “treats” for $100. Because of these bulk purchases, it’s very easy for kids to spend hundreds of their parents’ dollars. In the complaint, Imber-Gluck said she didn’t do anything to “open” the purchase window. While there is an option to close the window, Google Play’s support page suggests that the window is open by default. Maybe Google might want to make the option a little more obvious next time.